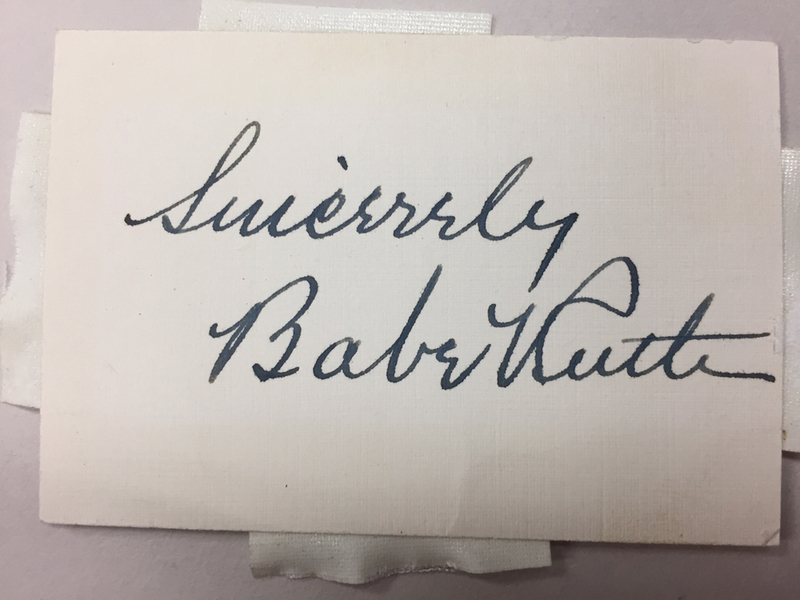 Ruth, George Herman "Babe" (1895-1948) Signature Mounted with Photo. Ruth, George Herman "Babe" (1895-1948) Signature Mounted with Photo. Small clipped signature matted beneath a photograph, 3 x 2 in.